Text: February 3rd  … We went to Drury Lane, and saw “Richard the Third,” with the pantomime of “Harlequin Horner,” with a clown issuing from the Christmas pie. Kean performed Richard. The play is not exactly Shakspeare’s. Colley Cibber brought it out improved and amended, and John Kemble has improved upon it again. More than half the original tragedy, including many of the finest scenes, is discarded. Two or three scenes from the third part of Henry the Sixth are transferred to this play. There are modern additions, not well adapted to Shakspeare’s [sic] style, and his language itself is often altered, and seldom for the better. As it is, however, it has constantly been from Cibber’s time one of the standing favorites of the public on the English stage, and the character of Richard is one of the trying tests of their greatest tragic actors. I never saw it performed but once before, and that was at Boston in 1794. It is by many of Kean’s admirers considered as his greatest part; but his performance this night in some degree disappointed me. There is too much of rant in his violence, and not smoothness enough in his hypocrisy. He has a uniform fashion of traversing the stage from one side to the other when he has said a good thing, and then looks as if he was walking for a wager. At other times, he runs off from the stage with the gait of a running footman. In the passages of high passion he loses all distinct articulation and it is impossible to understand what he says. But he has much very good subsidiary pantomime, which is perhaps the first talent of a first-rate actor. He has a most keen and piercing eye, a great command and expression of countenance, and some transitions of voice of very striking effect. All the other male performers were indifferent, and the women below mediocrity. The two children (girls) were very good. The house was crowded, and the applause of Kean incessant during the tragedy. The fight between Richard and Richmond was skilful and vigorous. Kean always contrives to make a claptrap of his dying scenes. The clapping at his death continued five minutes long. The Duke and Duchess and Princess Sophia of Gloucester were present, and received with great applause. At their entrance, “God save the King” was performed by the orchestra, and sung by part of the players, the audience all standing. Comments: John Quincy Adams (1767-1848) was the sixth President of the United States (1825-1829). In 1817, at the time of this diary entry, he was the US ambassador to Britain, before becoming Secretary of State to James Monroe. 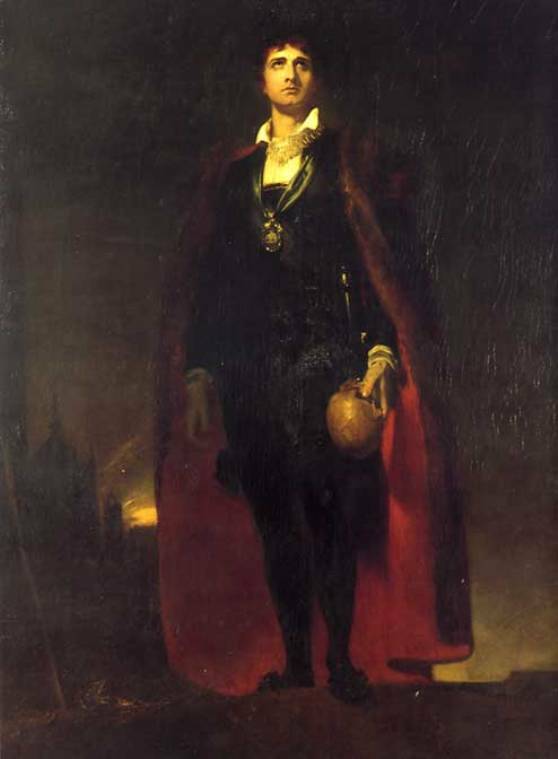 Edmund Kean (1787-1833) played Gloucester in a version of Shakespeare’s Richard III heavily rewritten by Colley Cibber. Harlequin Horner; or, Christmas Pie was a popular pantomime piece, first produced at Drury Lane in 1816. Her face, however plain, is capable of considerable variety of expression; and, what is of more importance than beauty, there is a great deal of mind in her countenance; for this is absolutely necessary to command our interest and sympathy. Who can sympathize with a simpleton, even if it be a pretty simpleton? Duchesnois drew down much applause, and she deserved it;-she feels justly, and has the faculty of expressing what she feels. This is the extent of her merit; but here, where there is so much unnatural declamation, her style appears to the greatest advantage. Mademoiselle Volnais, for example, with a plump unmeaning pretty face, chants out her part, with no more apparent feeling or understanding than a parrot. 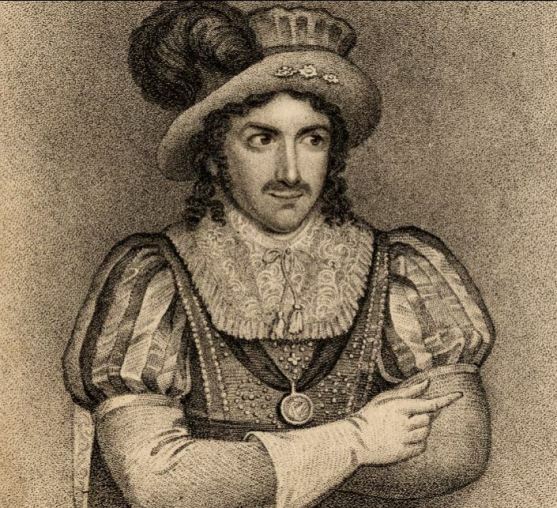 La Fond, who is a great favourite with the audience, played Talbot with something that was very like spirit and dignity; but he can never conceal the actor; he is all “strut and bellow;” and his voice, though it has great compass, is harsh and unpleasant. The political allusions of which the play is full, particularly the prophetic denunciations of Joanne against England, were eagerly seized by the audience, and rancorously applauded. It must require all the vanity of the French, to sit and hear, as the audience did with patience and complacency, the most fulsome and disgusting flattery addressed to their national feelings, in the vilest and worst taste of clap-traps. The very gallery in England has grown out of its liking for this sort of stuff. A new after-piece followed—“Les Femmes Politiques;” a pretty trifle written in elegant language, which was charmingly delivered. Mademoiselle Mars and Mademoiselle Dupuis played delightfully; Baptiste ainé looked and spoke like the old gentleman he represented; and Monrose excited a laugh without descending to buffoonery and caricature. This sort of conversational French comedy is delightful;-it is Nature in her best dress—polite—well bred—and sparkling. But, in comedies where there is more room for the exhibition of comic humour, the French actors are perhaps inferior to our own. We shall in vain look for parallels of what Lewis was, or what Munden and Dowton are; and even with respect to Mademoiselle Mars, excellent as she is in the first and highest walks of comedy, for which she seems designed by nature—being very beautiful, very graceful, and perfectly well-bred;—yet, in characters of archness and humour, she might put a little more heart, and a great deal more mind into her representations. We miss the force, the richness, and the warmth of Mrs. Jordan’s acting, and the exquisite point that she had the art of giving to comic dialogue; which only wanted the embellishments and good-breeding of the French Thalia, to constitute a perfect actress. The point of perfection would perhaps be found somewhere between the styles of the two nations. To take an example from the Tartuffe —the famous scene between Tartuffe and Elmire is scarcely played up to the intention of the author, by Damas and Mademoiselle Mars, and it certainly might be coloured higher, without overstepping the modesty of nature. Dowton, in Cantwell, may go a little too far with Lady Lambert—and yet who can think so that remembers the effect produced by his management of the interview?— but Damas, in Tartuffe, does not go far enough with Elmire. The scene “comes tardy off:”—bienséance, when carried too far, is a millstone round the neck of tragedy and comedy. Congreve says well, that a scene on the stage must represent nature, but in warmer colours than it exists in reality. It is in Molière particularly, perhaps exclusively, that the French comedians seem to fall short of the author; for Molière is the most humorous of all their writers. He is the Fielding of France, and there is a richness and a raciness about him which are sometimes frittered away in the representation. Comments: Henry Matthews (1789-1828) was a British judge. On account of ill health, he went on a recuperative tour of Europe over 1817-1819. The published diary of his travels, The Diary of an Invalid (1820), was very popular and went through a number of editions. The two-volume diary has several entries on theatregoing. The play w=he saw at the Théâtre Français (the Comédie-Française) was Charles-Joseph Laeillard d’Avirigni’s Jeanne d’Arc à Rouen, with Joan played by Joséphine Duchesnois. The afterpiece was Les Femmes politiques, a verse comedy by Étienne Gosse. Other performers mentioned include Mlle. Volnais, M. Lafond, Mademoiselle Mars, Mlle. Dupuis and Nicolas Anselme Baptiste (Baptiste aîné). Text: December 13. Biberpelz. Bad play, flowing along without climax. Scenes with the police superintendent not true. Delicate acting by the Lehmann woman of the Lessing Theater. The way her skirt folds between her thighs when she bends. The thoughtful look of the people when she raises her two hands, places them one under the other on the left in front of her face, as though she wanted to weaken the force of the denying or protesting voice. Bewildered, coarse acting of the others. The comedian’s impudence toward the play (draws his saber, exchanges hats). My cold aversion. Went home, but while still there sat with a feeling of admiration that so many people take upon themselves so much excitement for an evening (they shout, steal, are robbed, harass, slander, neglect), and that in this play, if one only looks at it with blinking eyes, so many disordered human voices and exclamations are thrown together. Pretty girls. One with a flat face, unbroken surfaces of skin, rounded cheeks, hair beginning high up, eyes lost in this smoothness and protruding a little. – Beautiful passages of the play in which the Wulffen woman shows herself at once a thief and an honest friend of the clever, progressive, democratic people. A Wehrhahn in the audience might feel himself justified. – Sad parallelism of the four acts. In the first act there is stealing, in the second act is the judgment, the same in the third and fourth acts. Comments: Franz Kafka (1883-1924) was a Bohemian Jewish novelist and short story writer, author of ‘Die Verwandlung’ (‘The Metamorphosis’) and Der Process (The Trial). He saw Gerhardt Hauptmann‘s 1893 satirical play Der Biberpelz (The Beaver Coat). 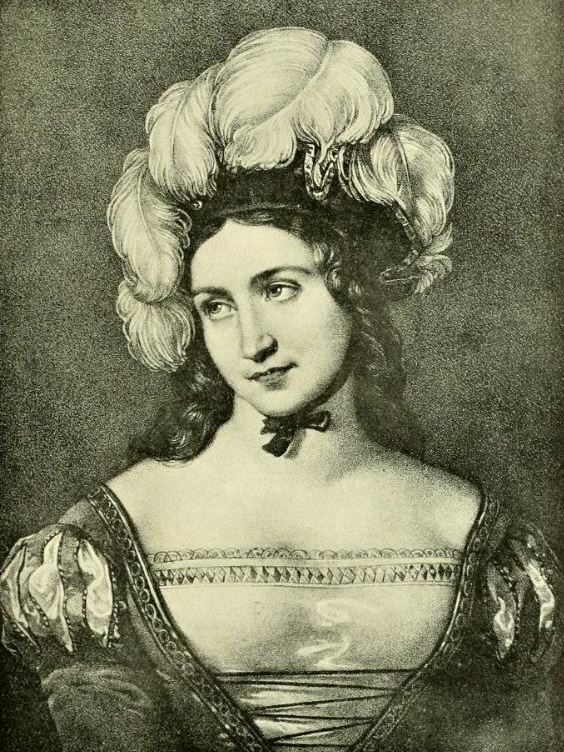 The ‘Lehmann woman’ he saw perform was presumably Else Lehmann, who was noted for her naturalistic performances in Hauptmann’s plays. The Lessing Theatre was located in Berlin. Text: Saturday 19. — Employed this Morning in writing. Dine at Monsr. de Corny’s, in consequence of a Note from Madame, desiring the Engagement for Tomorrow may take Effect this Day. After Dinner converse with de Corny about a Contract for supplying Flour to Paris, and offer him a fourth Concern. He desires a Note of my Ideas, which I promise. The Conversation is as usual political. From hence I go to the french Theatre and see the Chef-d’oeuvre of Racine, Athalie. It is well performed and is well calculated for Performance. There is however a Deal of ridiculous Gesticulation during the Time in which the high Priest is inspired but this can hardly be avoided, for the Mutes, who cannot in the usual Course of Things possess the Talents which are required to speak to the Eye, must either appear as insensible Statues or ludicrous Pantomimes. Hence results a Maxim for Theatrical Exhibitions which I do not remember to have met with anywhere: the Stage should never be filled on great and solemn Occasions. The Procession may be admitted and a Crowd may appear when only common Emotions are to be expressed, or when Laughter is to be excited by Something outré, because most Men have Talents enough to render themselves ridiculous, but very few are able to excite, much less to sustain, the greater Sensations of the Soul such as Terror & Admiration. Return Home immediately after the Piece and write what I promised to de Corny. This has been a rainy disagree[e]able Day. Comments: Gouverneur Morris (1752-1816) was one of the founding fathers of the United States of America, author of the Preamble to the US Constitution. He went to France in 1789 and was Minister Plenipotentiary to France 1792-1794. His diary provides a vivid account of the French Revolution and includes several accounts of visits to the Paris theatre. The ‘French Theatre’ is the Comédie-Française. Text: Well, I have seen Taliogni. She danced this evening at the French Opera, in the ballet of the Sylphide. It was a single performance, and, fortunately, fell upon our last night in Paris. The immense theatre was crowded in every part. Bradford obtained excellent places for us in the course of the day. The opera was the “Siege of Corinth,” which, did not interest me; but the ballet was certainly the poetry of motion and the sunlight of beauty. I never saw anything of the kind before which is not routed horse and foot out of my recollection by the force of this fascinating spectacle. Not only the calypso of the night, but her attendant nymphs all danced and moved and floated like beings of another world. The piece is exactly the same as that gotten up in New York as an opera when Mrs. Austin was there, under the name of the “Mountain Sylph”; but, fortunately, there was no singing or speaking here. It would have been too much, when one of our senses was completely absorbed, to have another invaded, and in danger of being captured; it might have ended in nonsense. The whole affair was so nicely managed, the machinery worked so well, the sylphs flew in the air, as if their little delicate feet had never touched the ground, and when their lovely sister died, four of them enveloped her in a net of gold and, each taking a corner, flew up with her into the air, where, I take it for granted, the Sylphic Pere la Chaise is situated. Or, perhaps, the beauteous beings of their race, when defunct, are taken up to exhale in the regions above, and return to us in the form of dew-drops to sparkle on the leaves of the newly blown rose, or hide in the velvet recesses of the fragrant violet. Taliogni is small, delicate, and, I think, pretty, and her dancing excels that of any other woman as much as Mrs. Wood’s singing does Mrs. Sharp’s. It is not only in great agility and dexterity, but it is the perfection of grace and beauty, and addresses itself to the imagination, as it is, in fact, half the time something between earth and heaven. When this pleasant affair was ended, we went to Tortoni’s and took our ices. This is the most fashionable house in Paris. Comments: Philip Hone (1780-1851) was an American businessman and diarist, who was Mayor of New York 1825-1826. Marie Taglioni (1804-1804) was a Italian-Swedish ballet dancer, one of the most celebrated figures of the romantic ballet of the nineteenth century, known especially for her dancing en pointe. 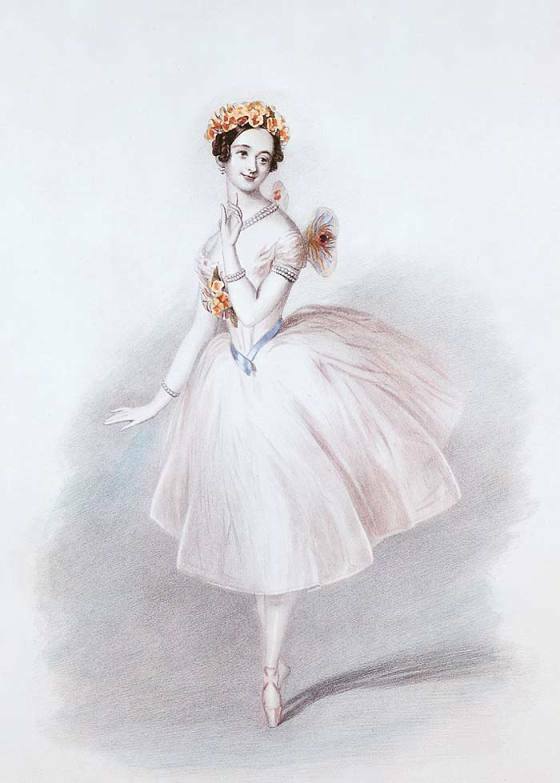 La Sylphide was choreographed for her by her father Filippo Taglioni in 1832. She danced regularly at the Salle Le Peletier, or Théâtre de l’Académie Royale de Musique as it was known at this time. Le siège de Corinthe was an opera by Rossini.